People are becoming acutely aware of the necessity of magnesium in their diet. Unfortunately, there are many types of magnesium on the market so why should Rose of Sharon Acres products be considered? Our Mineral Rich Magnesium is from the Dead Sea and it is the one important for our bodies....Magnesium Chloride Hexahydrate in its purest form. 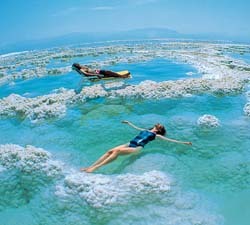 Magnesium is found in sea water all over the world and can even be created in a lab, BUT the magnesium from the Dead Sea contains concentrations of up to fifteen times the amount in other seas. It also contains 12 unique minerals not found in any other sea. It is truly a spa for our bodies that has been God given. We all know that our bodies are a complex chemical factory. When part of the equation is missing, our bodies don't function properly. Magnesium is imperative to a healthy body. Without it, approximately 300 functions won't operate properly. What are some of the symptoms of not having the correct amount? While supplements can be taken, most use a cheap form of magnesium that don't absorb in your body well as the digestive process destroys many of its benefits. 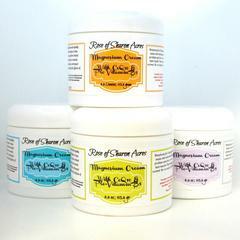 Our products are TRANSDERMAL which means it is absorbed through the skin bringing the results quickly and efficiently. It goes to work almost immediately bringing this much needed nutrient to your body. 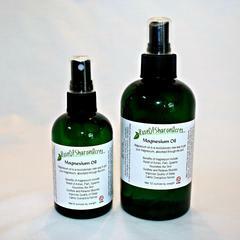 Magnificent Magnesium - The importance of this amazing mineral and how deficient we are!